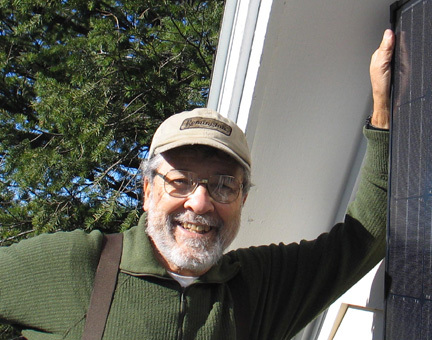 Gustavo Bourdieu, 74, a resident of Hancock, passed away suddenly on Monday, September 17, 2018. Gustavo was born in Buenos Aires, Argentina, son of the late Raimundo José Bourdieu and María Genara (Castilla) Bourdieu. Gustavo was raised in Argentina and resided in Peru for more than 30 years. He moved to the United States in the 1990s, working in Georgia until moving to Hancock in 2006. In 2011 he proudly became a United States citizen. 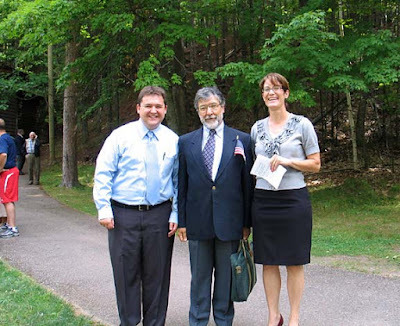 Following his citizenship ceremony in Marquette, Michigan, Gustavo is pictured here with Amy Berglund, right, representing former U.S. Senator Carl Levin, and Jeremy Hosking, former representative of U.S. Senator Debbie Stabenow. (Photo by Michele Bourdieu). In Argentina Gustavo graduated from a technical secondary school with a focus on telecommunications. In Peru he was a beekeeper and farmer as well as a businessman and telecommunications technician. Gustavo worked a variety of jobs throughout his life, from being a messenger at the Argentina Stock Exchange to installing solar panels and satellite antennas for radio and television in small villages in the Amazon to selling cars and motorcycles and working in a 5-star restaurant. 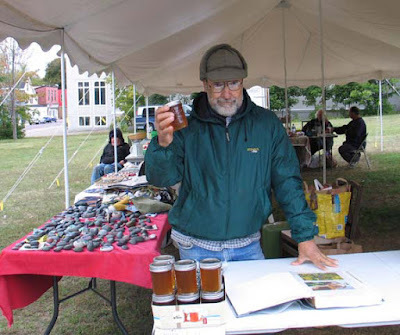 A man of many interests and many talents, Gustavo was a beekeeper for more than 50 years, an amateur radio enthusiast, a gardener and a great dancer. He taught himself many computer skills and read widely in both Spanish and English. More recently he became interested in metal arts, especially jewelry he hand-crafted from recycled copper and silver, which he sold at the Hancock Tori farmers’ market and other arts and crafts sales. 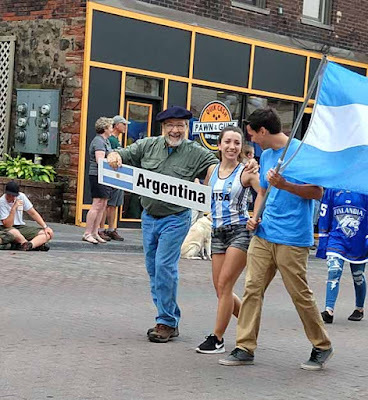 Over the years Gustavo was a member of several amateur radio clubs, including a local Copper Country club, and loved contacting ham radio operators from many countries. He also marched in the local Parade of Nations, representing Argentina. In addition to his many hobbies, Gustavo enjoyed dancing, cooking, photography, repairing old sewing machines and telling stories about his adventurous life. In 2008 Gustavo was united in marriage to the former Michele Gilbert. Preceding him in death were his parents; his son, Gustavo F. Bourdieu Figueroa; and a sister, Angelica Estefanía Bourdieu. Gustavo is survived by his wife Michele Bourdieu; his daughters María Amelia, Carmen, and Carla Estafanía; his sisters María Carmen and Estela; his niece Carla; his nephews Marcelo, Santiago, and Manuel Augusto; 6 grandchildren; and several cousins. A Memorial gathering to celebrate Gustavo’s life will be held from 2 p.m. to 5 p.m. on Sunday, October 21, 2018, at the Hancock First United Methodist Church, 401 Quincy Street, Hancock, MI. An informal potluck will be included. Those who would like to are invited to bring a snack to pass. For details call Carol at 906-523-5182. The Memorial Chapel Funeral Homes of Hancock are assisting the family with the arrangements. *Those who wish to help the bees are invited to sign the Avaaz petition and/or Donate by clicking on Donate button at top of the page.